Valentine’s Day is just around the corner, and while most people won’t decorate as much as they would for Christmas, it’s still nice to see some red and pink around the home. If you want to embrace the love of this romantic holiday, get inspiration from these easy Valentine’s Day DIY Decor ideas. Your home will feel instantly more romantic and loving. 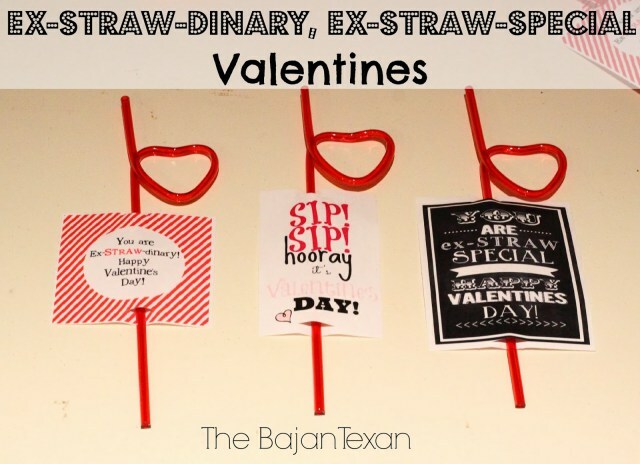 Keitha has an adorable tutorial on how to make these ex-straw-dinary, ex-straw-special valentines that are so fun and easy to make you and your kids can make them together. Then your kids will love handing them out at school for all the other kids to enjoy. This is an extremely easy DIY project that will quickly make your home feel more romantic. This DIY lipstick art from I Heart Naptime is a quick and easy way to bring some Valentine’s Day spirit into your home. All you need is some lipstick in different red and pink shades, a piece of art paper, and a heart shape to trace. If you and your significant other fit together like puzzle pieces, this is the Valentine’s Day DIY Decor project for you. Along with making a cute and unique piece of art, this puzzle heart by Freshly Found is a great way to give new purpose to those old puzzles that are missing pieces. String art is everywhere nowadays, though it can be time-consuming hammering in all those nails. The genius mind from Crafts N Coffee decided to use foam board and pins instead of wood and nails to make her easy string art heart. String art may look complicated, but this version is so easy, anyone can do it. 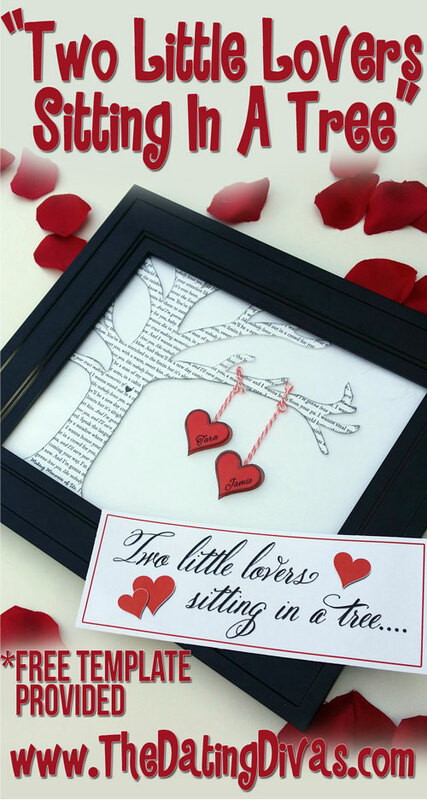 This adorable Valentine’s Day DIY decor project by The Dating Divas is inspired by the schoolyard rhyme with two lovebirds sitting in a tree, K-I-S-S-I-N-G. It’s a cute and creative way to show your love for your significant other and display it proudly in your home. Tree decorations aren’t just for the Christmas holiday anymore. 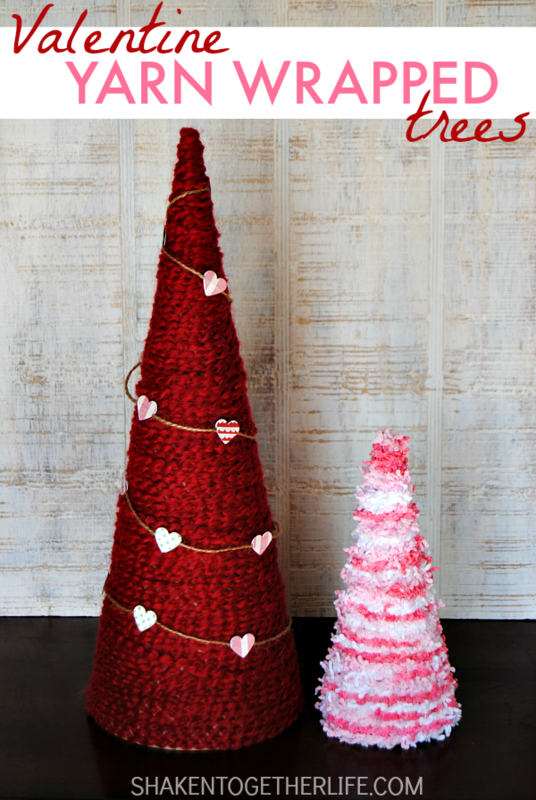 These lovely little Valentine’s Day yarn-wrapped trees by Shaken Together are a simple and cute way to decorate for the holiday. All you need a foam tree, some yarn, and a little patience. Use different colored yarn for each tree for a fun look. If you’re tired of the traditional red and pink Valentine’s Day DIY decor, try these 3D love art tutorials from Brassy Apple. 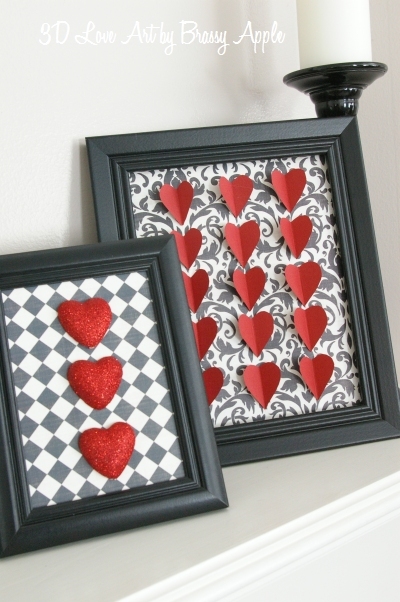 Using a black frame and black decorative paper, these Valentine’s Day DIY decor ideas are sophisticated and elegant. They’re also extremely easy to make, so why wait? These are all so pretty. Thank you for including the String Art Heart from CraftsnCoffee.com.